On June 2, 2016 President José Eduardo dos Santos appointed his daughter Isabel dos Santos to the two most powerful roles in the state oil company, Sonangol: by decree he named her Chairman of the Board of Directors and Non-Executive Administrator. Notwithstanding the case pending before the Supreme Court to obtain an injunction to stay her appointment, Isabel – like any other administrator – is required by law to submit a declaration of income and assets to the Attorney General within 30 days of taking office. And yet a source within the Attorney General’s office tells us that five months later neither Isabel dos Santos nor any other member of the board of directors has submitted these legal requirements. Maka Angola contacted the office of the Attorney General to confirm this matter but he declined to comment. To be clear: the law which obliges Isabel dos Santos to submit a declaration of income and assets is the anti-corruption law, awkwardly called the Law on Public Probity, which dates back to March 29, 2010 (Law 3/10). Coincidentally, this is the same law that should have prevented the President from naming his own daughter to these positions, given the clear conflicts of interest. Isabel dos Santos has a fiduciary interest in a number of companies that do business with Sonangol. And the records show that her fortune was largely built thanks to Sonangol. “It does not seem possible to me that she Isabel dos Santos might not have submitted her asset declaration out of an ignorance of the law, given that Isabel retains one of the most prestigious Portuguese legal firms Vieira de Almeida Sociedade de Advogados,” the magistrate added. The legal opinion that a failure to submit an asset declaration ought to result in immediate removal from that office-holder’s position, derives from Article 27, Clause 4 of the Law on Public Probity which unambiguously states that the appropriate sanction is the immediate dismissal or removal from office of the public servant who fails to submit (the asset declaration) within the period stipulated by the law (30 days). It could thus be argued that, if the letter of the law had been followed, Isabel, who took up her position on June 6, 2016, should have found herself out of a job with Sonangol as early as July 7, 2016. However, the Office of the Attorney General of the Republic of Angola is these days a discredited organization. The very institution that should be the guardian of legality, is compromised by the unethical behaviour of the man in charge, General João Maria de Sousa, who has been implicated in a number of instances of corruption and acts contrary to the laws of the land. When the Law on Public Probity was approved, the jurists who served the regime in Luanda – in particular Carlos Maria Feijó, who formerly served in a number of roles in the President’s office, including Minister of State and Chief of Staff to the President (in short, one of the President’s right-hand men) – proclaimed that this law was aimed at reinforcing the means of combatting the culture of corruption, to guarantee the prestige of the State and its institutions. Fine words – but they reveal an inherent contradiction: how is it possible for a system rooted in corruption and in total disrespect for the law, to engage fully in a fight against itself? Furthermore, should people expect the mere existence of a law to be sufficient to combat corruption, or should the institutions first and foremost be taking action to counter this ‘phenomenon’. In truth, the failure to submit their declarations of assets on the part of Isabel dos Santos and the other directors on the board of Angola’s principal state-owned business is only one small example of how Angola’s laws are not respected but used only as a tool to protect the interests of the ruling kleptocracy. The rot starts at the top with President José Eduardo dos Santos who as the head of the Executive was (and still is) the first to breach the law in failing to declare his own assets and income. The regime’s lawyers say the Law of Public Probity has no provision for the role of head of state. He is not a “member of the Executive” but the “Chief Executive”. Is it possible to be the leader of an organization without also being one of its members? 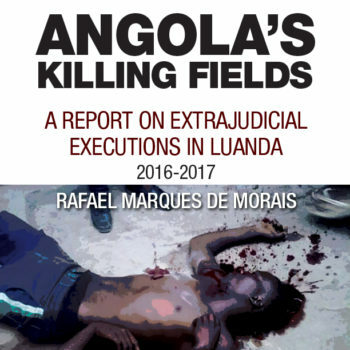 Some lawyers argue that, in line with the constitutional model that was adopted in Angola, José Eduardo personifies the Executive, and that his ministers are mere auxiliaries. Under the Angolan Constitution, the ministers do not have personal powers, nor personal duties. All their activity derives from the Chief Executive. Technically, it could therefore be argued that the President is the ONLY member of the Executive and the others are merely those to whom he delegates HIS powers. It should be added that sub-clause (a) of Article 27 of the Law of Public Probity is crystal clear on this point: all “office holders of political positions who attain their status whether by election or appointment” must declare their assets. Let’s spell this out. Logically, given that the role of head of state and chief of the Executive branch of government is a political position, attained by election, there can be no room for doubt but it should have applied to José Eduardo dos Santos and that by his failure to submit a declaration of assets, he has contravened the law, and if enforced, the sanction would be to remove him from his position.